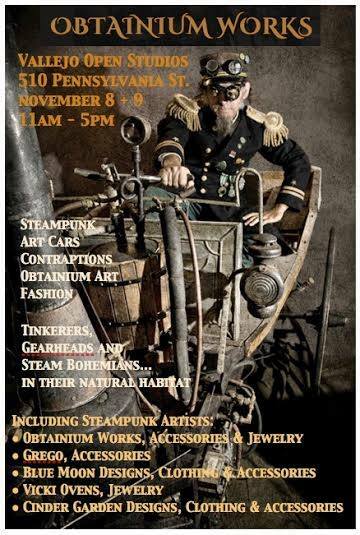 UPDATE: "Steampunk Pinnochio" to premiere at Obtainium Works! Along with the festivities on March 21st "Feast of the Tentacle" at Obtainium Works, we will also premiere the first live showing of "Steampunk Pinocchio," an original work. March 21, 2015: 4th Anniversary Celebration— "Feast of the Tentacle"
Come celebrate the madness of contraptions! Join us at Obtainium Works as we celebrate our 4th anniversary in Vallejo and the Order of Cthulhu. Costumes are encouraged! Tentacles are a bonus! 5th Annual Vallejo Mad Hatter Holiday Parade and Festival! When: Saturday December 6th, 2014. From 12:00 noon till 11:00 pm. Where: Downtown Vallejo, mostly along Georgia Street. See map for details. Haul-o-ween 2014: "Haul of Illusions"
Come visit Obtainium Works Haul of Illusions on Friday, October 31 and Saturday, November 1 to see some classic Victorian Halloween illusions done with real smoke and mirrors and stay for the trick or treats! Children must be accompanied by an adult and it is safe for all ages. Admission: $5 adults, free for children 12 and under. Another Who-Done-It performed by our own troupe of Victorian usual suspects and you get to have fun figuring out the culprit. Tickets: Choose an option below. Or call 925-254-7643. Bring your contraptions to the Obtainium Cup! The third annual Obtainium Cup is upon us! 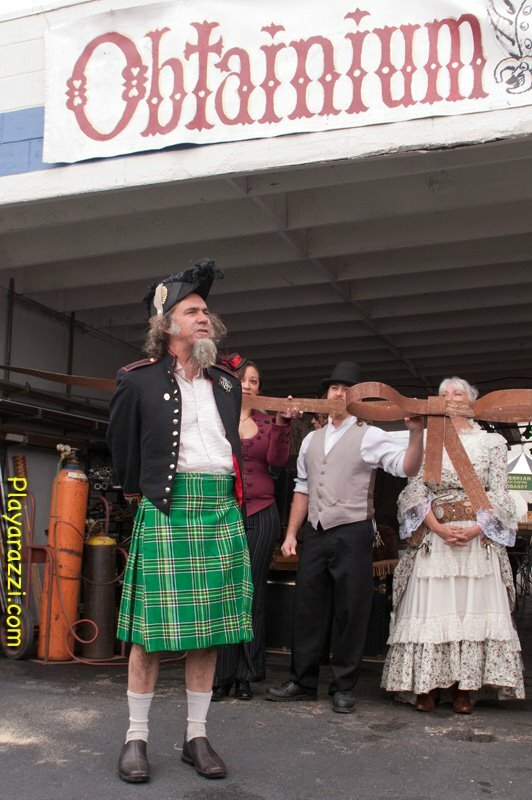 On July 27, 2014, experience the adventure as dozens of mutant human-powered vehicles race down and up Vallejo's Mare Island! The road rally is fraught with challenges: Zombies! Flying Monkeys! More Mad Hatters! ROBOTS! Can our intrepid heroes survive? Come to Vallejo and find out! Click here to download application and waiver (PDF).